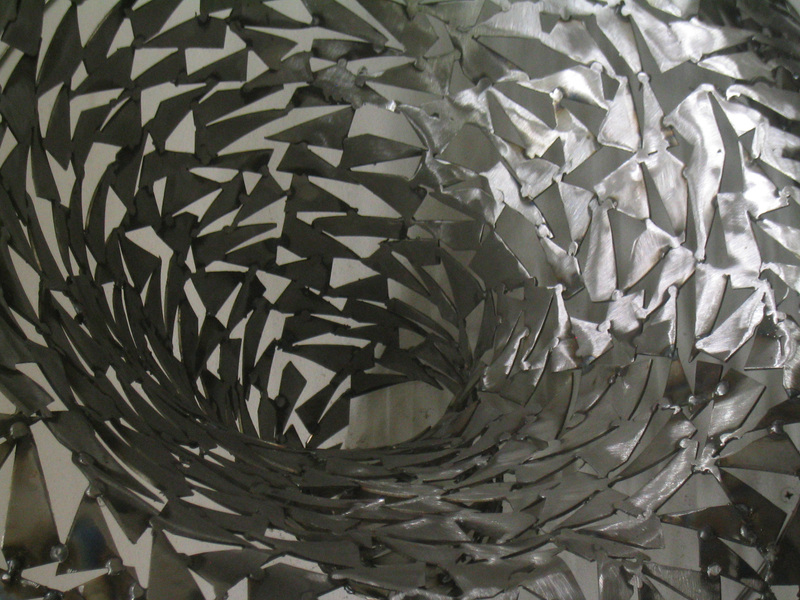 I construct sculptures with numerous curved pieces of steel. 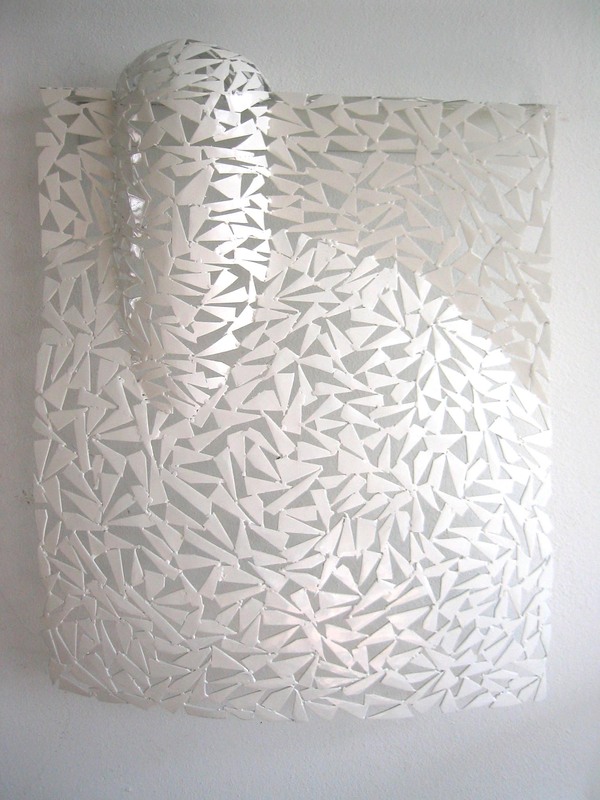 Due to the open, transparent structure, the appearance is light and vulnerable like lace, despite the strong material. By showing the inside and the outside at the same time, these objects deny the classic idea of volumes and forms. The sculptures seem to absorb the space around them, rather than occupy space. In the sometimes shiny surface the colors of the surroundings are caught. 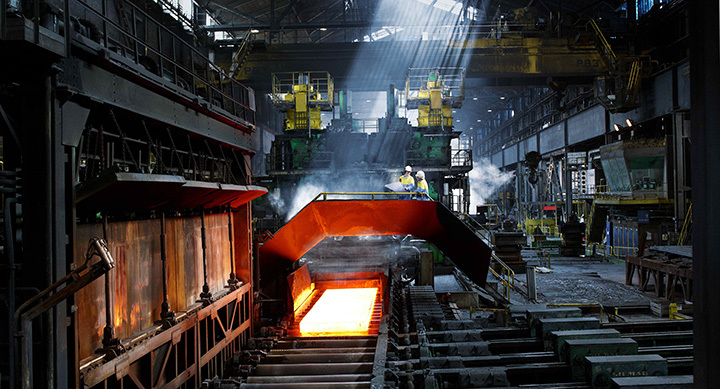 I’ve always been fascinated by steelwork, from the first time I saw the huge steel blocks in the blast furnace in IJmuiden, at a school trip when I was a child. The heat, the smell, the noise, I liked everything, it was intriguing. Nowadays I’m still interested in machine-making companies and I like the craftsmanship of structural metal workers. Although I’m very much aware of the concerns about our environment, the sight of industrial areas, oil refineries and power plants still secretly attract me. Steel as a material for sculptures enables me to make small and bigger sculptures without being a muscleman. Cutting, welding and bending steel is not as tough as it sounds, it’s possible to make constructions both light and strong. Galvanizing and powder coating protect the works against the weather. Making the sculptures out of all the little pieces is absurdly laborious, for me it's the right way to slowly build the transparant forms and combine them, to create empty containers including nothing but shadow and light. These days I'm experimenting with (for me) new materials: glass and paint. The transparancy, the modest weight and the possibility to combine the glass objects with other materials gives a whole new perspective. It's fun!